Hilton Worldwide Holdings Inc. is looking to make room for a boutique hotel brand within its global portfolio of properties. The company currently has a suite of 10 distinctive brands, ranging from luxury resorts to limited-service properties, but has yet to explore the stylish segment of boutique hotel branding. The Wall Street Journal offered some insight on Hilton’s designs on a fashionable address. In addition to helping Hilton attract affluent, young travelers, the company believes that a boutique brand would let them compete with W Hotels, which is a luxury boutique hotel brand from Starwood Hotels & Resort Worldwide and Marriott International. Since most of Hilton’s portfolio is comprised of large properties with hundreds of rooms, a boutique brand would help round out their roster and let Hilton evolve with the times and the trends. 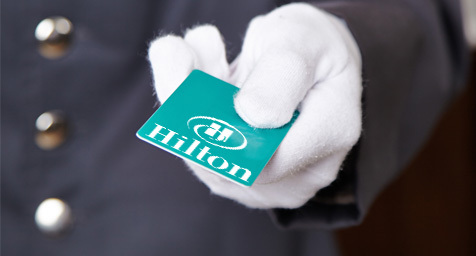 A few years ago, Hilton had been on the verge of launching their own boutique brand, but a legal conflict with Starwood prevented the company from advancing into the lifestyle segment for two years. While that restriction expired last January, Hilton has stayed silent about revisiting plans for a boutique brand. In the meantime, Hilton had focused on franchise growth and advertising and branding, but today’s stronger hotel market has made property development possible again. While a boutique brand would help Hilton update its dated image, the company is already showing signs of making modern moves. The Midtown Manhattan Hilton recently replaced traditional round-the-clock room service with a casual grab-and-go concept that only delivered daytime through early evening. It may have ended an era, but proved so popular with guests that Hilton is now rethinking room service in its other properties. Looking back, this was the first hint that Hilton was accommodating more modern tastes. Check out what’s new in hotel marketing and branding. Contact MDG Advertising today at 561-338-7797 or visit mdgadvertising.com. MDG Advertising, a full-service advertising agency and branding firm with offices in Boca Raton and New York, NY, is one of Florida’s top hotel marketing companies. Our core capabilities include print advertising, branding, logo design, creative, digital marketing, creative media planning and buying, radio and TV advertising, Web design and development, email marketing, social media marketing, and SEO. To stay on top of the latest trends in hotel marketing and advertising, contact MDG Advertising today at 561-338-7797.